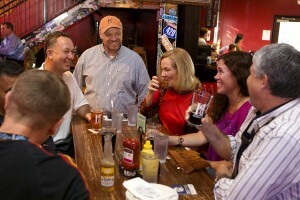 For the past 10 years, Lynnwood Grill & Brewing Concern has happily made its home in Northwest Raleigh. Conveniently located near the intersection of Lynn Road and Glenwood Avenue, we like to think of ourselves as a neighborhood bar and grill for the residents of Lake Lynn & Lynn Road and Grove Barton neighborhoods, and surrounding areas. We love getting to know our customers and are committed to providing exceptional service, whether you’re spending the afternoon at our rooftop bar or simply picking up take-out. Established in 2004, Lynnwood Grill expanded in 2006, moved to a new building in 2011 and added Lynnwood Brewing Concern in 2013. This progression could not have happened without the support of our local community and loyal customers, which is why we strongly believe in giving back to the people of the Northwest Raleigh area through sponsorship of local teams, fundraisers, tournaments and more. 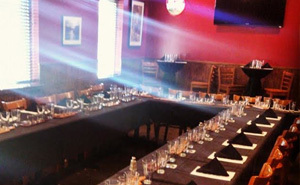 At Lynnwood Grill, we know our success has been achieved by treating our staff and customers well, and consistently providing excellent food, award-winning craft beer and fun events. We try to keep our prices fair so that our customers can afford to come back several times a month or week and make this their go-to spot. So come by Lynnwood Grill & Brewing Concern and experience for yourself all that we have to offer. Contact us if you have questions concerning our event calendar, weekly specials, Raleigh catering services and more. 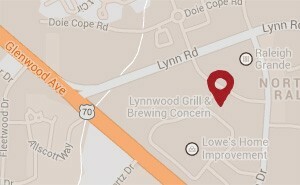 Lynnwood Grill & Brewing Concern offers the Glenwood Avenue and Lynn Road area craft beer, specialty pizza and more near Umstead State Park, ECPI University and the Raleigh Grande.